It's amazing how much a tie can do for you, agreed? I really support and love to work with brands based in Mexico, so when the folks at 33 got a hold of me I was definitely excited to colab with them. 33 offers men's shirts, socks, and knitted ties. 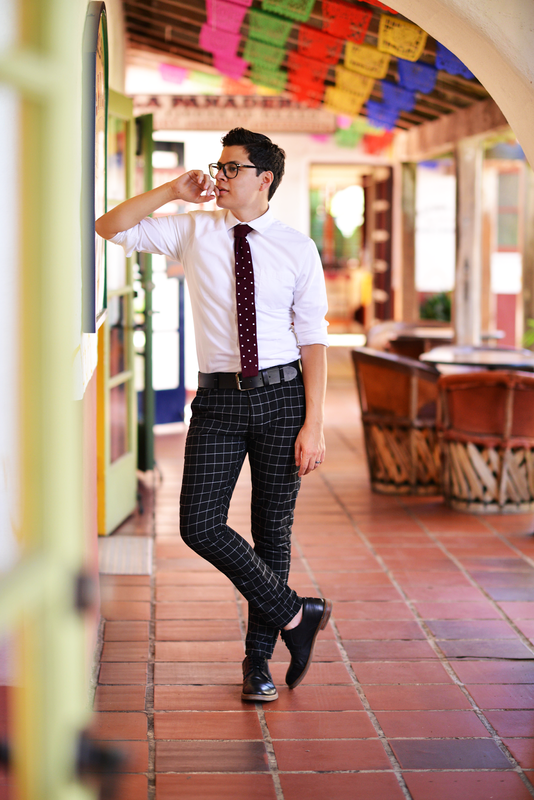 I live for knitted ties: they are lightweight, easy to style, and can pretty much be your best friend when you decide to dress casual or semi-formal. I received on of their best-sellers: the rosewood and white polka-dotted tie. Made out of 100% wool this sucker can be dressed with anything from a leather jacket all the way to a sports jacket. 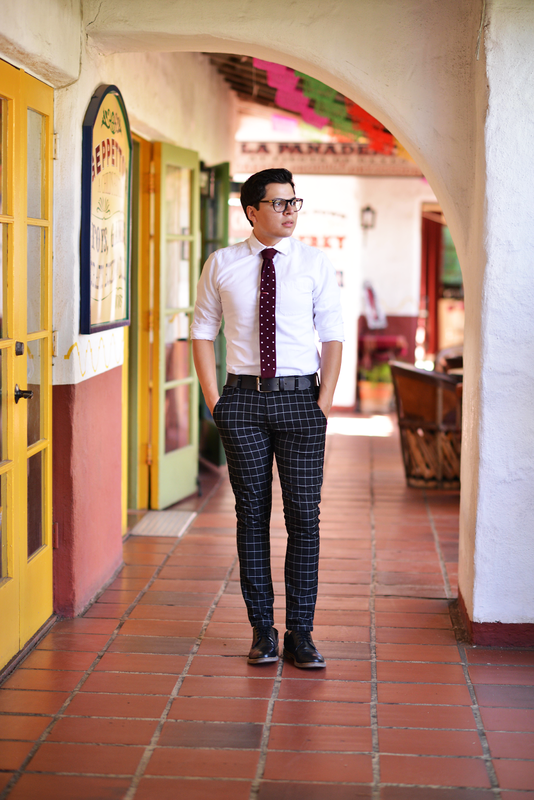 To make the focus of this outfit the tie (and because it was 90 degrees outside), I decided to keep it clean and simple with a white shirt and black checkered pants from Topman, along with a pair of Ben Sherman shoes. Make sure to check out 33 and find a pair of ties to incorporate into your wardrobe this fall!